This "tiny" little bathroom needed some serious attention. It was looking so sad. We took out the pedestal sink because it was dated. 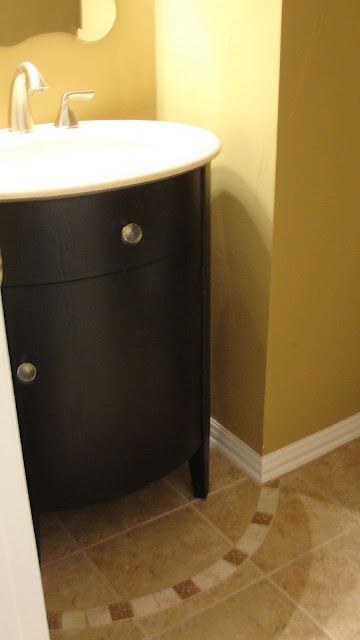 We put in a new black curved vanity which helps the small room feel less crowded. I took the old hardware off the new cabinet because it was a little wimpy and I added crystal knobs that added sparkle. The vanity also has extra storage which the client was happy about! The new tile we added is light and beautifully textured. 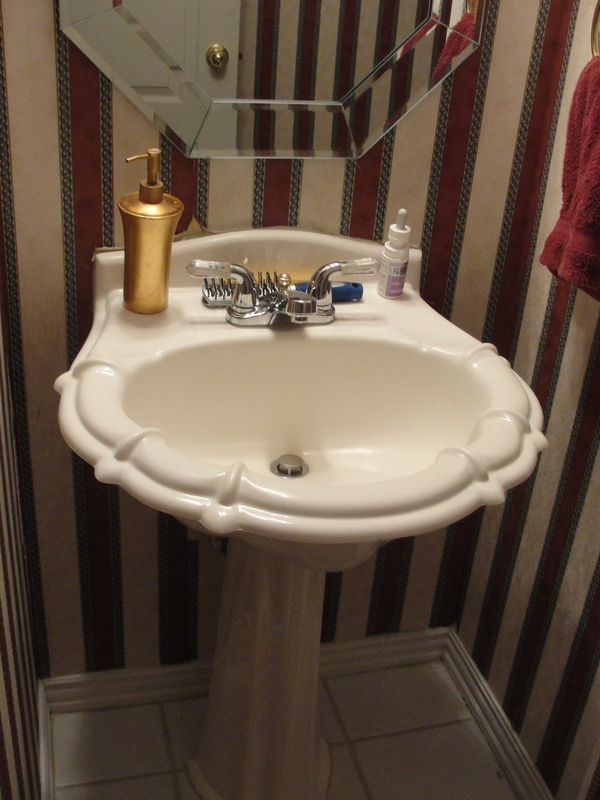 The decorative tile around the curve of the vanity really makes this room come alive. Taking away the stripped wallpaper and painting the room a yummy warm tone made this little escape very restful and cozy... yippee! 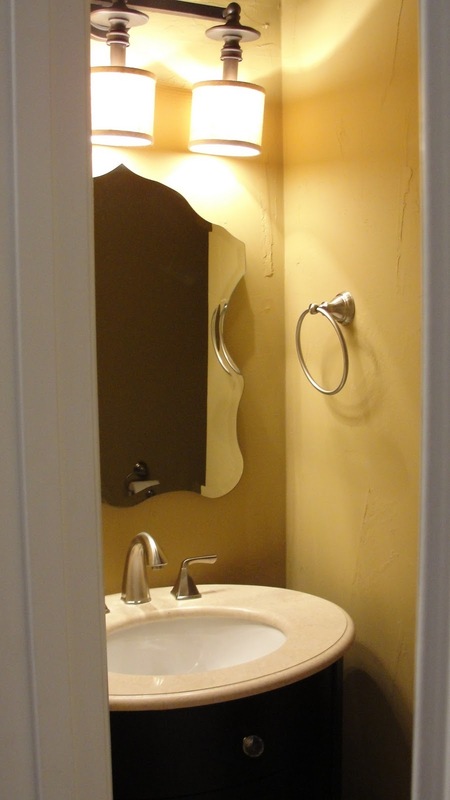 We added a new frameless mirror and a gorgeous light fixture with linen shades. We are hanging the new red cabinet above the toilet next week and that will complete this little transformation. These simple changes made this bathroom the place most guests will want to visit whether YOU want them to or not! Visit DecRenew Interiors to see more before and after photos that will inspire you.